When I last visited the book, I had issues with it. Specifically, I had issues with a subplot wherein a character, a woman, wasting away pining for her True Love. It soured the book for me, and even though M really liked it, I didn’t change my opinion. But my in-person book group chose it for their book for August, and I had time and figured it was a light vacation read, so I thought I’d give it another try. 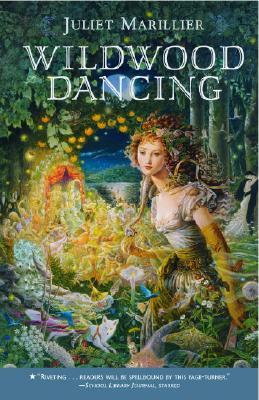 It’s a clever twist on a couple of fairy tales, deftly combining vampires with The Frog Prince and the Twelve Dancing Princesses. The Transylvanian setting was lush and Marillier knows how to spin a story. One of the comments I remembered people saying in favor of the book was the relationship between Jena and Gogu, her frog. It’s a good relationship, fun and witty. But, even with that, I had issues. I really disliked the treatment of the sisters by Cezar. I know you’re not supposed to like it; he’s the “bad guy” after all. But, it was really unsettling to me this time around. I had to put the book down several times, and found myself desperately loathing having him around. I almost didn’t finish the book because of him, this time. Perhaps it’s a good thing that I had such a violent reaction to him: it means, to a large extent, that Marillier did her job well. And as for Tati and Sorrow, the pair that soured the book for me the first time around? Yep, still didn’t like them. Still became impatient with Tati and her wasting away for True Love. Still impatient with the idea of True Love, and how worthless an idea it is. I do prefer Jena and Gogu’s relationship; at least there’s mutual trust and understanding there. Perhaps Marillier meant Tati’s to be a counterbalance to the more down-to-earth Jena? I don’t know. But Jena, as spunky and brave and cool as she was, wasn’t enough to save the novel for me. Read it again and still didn't like it huh? Well, I suppose your first impression was accurate. I enjoyed this book, but have yet to read the sequel.